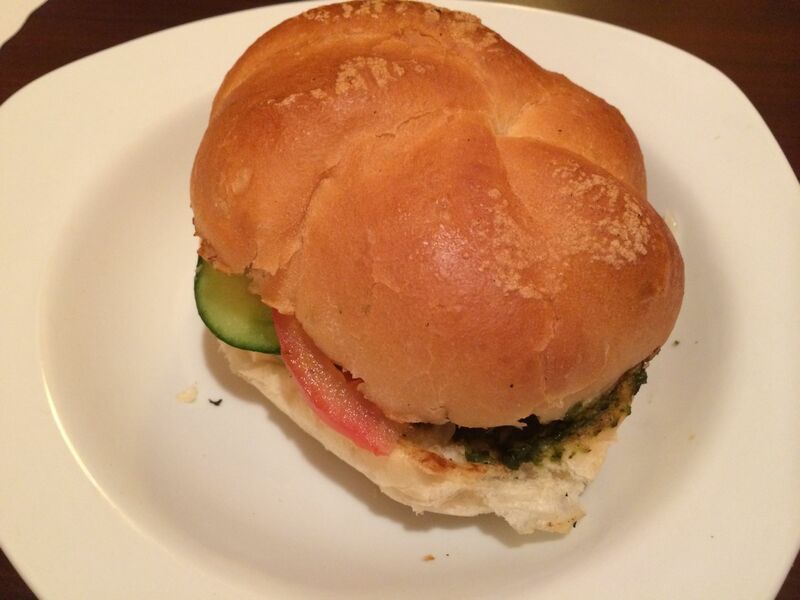 Bun Kebab is a Pakistani sandwich, originating from Karachi. It is usually found in road side stalls and in restaurants all across Karachi, most famous ones being in Pakistan Chawk. It is usually eaten along with a soft drink or by itself. Bun Kebab consists of a spicy patty which is shallow-fried, onions, and chutney or raita in a hamburger or hot dog bun. Unlike a hamburger patty, the bun kebab is mixed with ground lentils, powdered cumin seeds, and an egg batter into a mixture which is then fried in ghee or oil. One may find bun kabab at vendor stalls throughout Pakistan, with regional differences evident. In the Punjab (notably Lahore and Islamabad) a 'Bun Kabab' is served with a fried egg or omelette (known as 'anda shami') and ketchup, a cheap alternative to regular ketchup made with colourings, sugar, some tomato and spices. The patty can be made of chicken, potatoes, beef or mutton. The beef and egg recipe though is the most popular, especially with the street vendors of bun kebab. Recipe for Bun Kebab see Here and Here.